Some students were pleased with the new mascot. LSUS student Bailey Brantley shared her thoughts about [The River Monster]. “I absolutely love [The River Monster],” said Brantley. “I’m ready to do the ‘Monster Mash’. However, other students interviewed by Almagest reporters did not like the mascot at all. One Facebook comment, “To me, this mascot choice demonstrates that the students want our institution to distinguish itself, and it is certainly easier to make a statement by choosing an over-the-top mascot than it is to organize and build a powerful local political constituency that will put the LSU System on notice that we in Shreveport will not be treated like an afterthought anymore. Unfortunately, it is the accomplishment of that latter (harder) task that matters most in terms of defining the value of our institution to this region, but the students are apparently doing what they can do now." 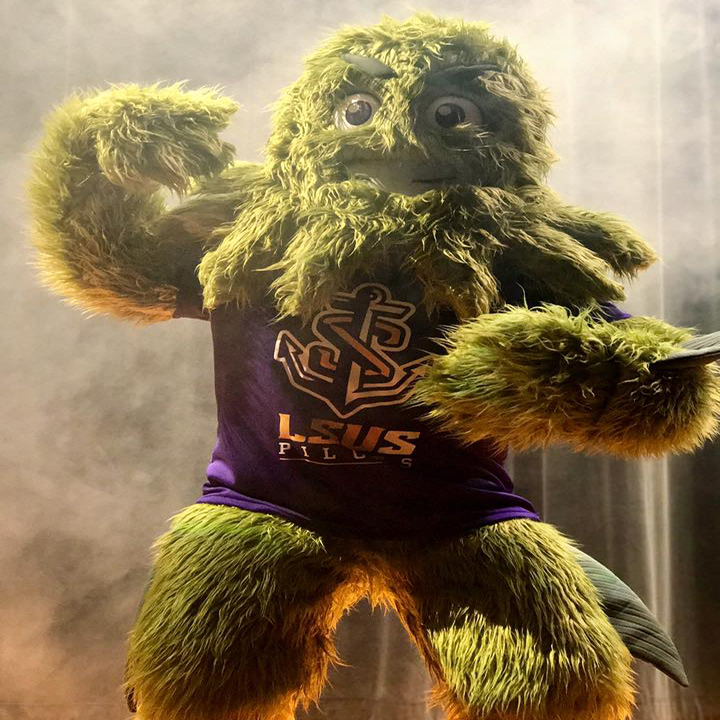 The River Monster will be strutting its green furry self at LSUS sports events so get used to it because it’s here to stay.